Established in 2010 by Mr Max Tan and Miss Angeline Teo, True Learning aims to provide quality and holistic education to Primary, Secondary and JC students, with a focus on Mathematics education. We offer Elementary Mathematics, Additional Mathematics, Integrated Programme Mathematics, H2 Mathematics and IB HL Mathematics coaching for the Secondary and JC level, and English, Mathematics and Science subjects are also offered at the primary school level. Boasting a qualified team of NIE-trained curriculum writers and tutors, we believe in empowering every child with our unique and engaging teaching methodology to enhance their confidence in learning and unleash their potential. Mindlab Tuition Centre Pte. 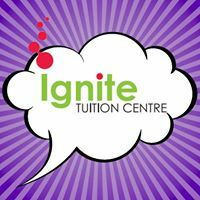 Ltd.
As Singapores premier IB/IGCSE tuition centre. We specialize in tuition for IB (International Baccalaureate), IGCSE, and IP (Integrated Program) students intending to go on to higher education programs in renowned universities. We provide only the best IB Tuition support from our Full-Time Teachers. We have centres located conveniently in Orchard, and Tanjong Katong. How we provide the excellent support for your child: Mindlab delivers on its promise to provide superior supplementary education through personalized teaching plans, systematic teaching process, engaging classroom environment, rigorous topic exercises, provision of homework, continuous assessment, availability of relevant reading materials, and free teacher assistance and consultation. Our approach is exam-centric and we provide a comprehensive support system, which has been time-tested and proven to be extremely effective for our students. Yen’s Tuition Centre was founded in 2002. It started out as one humble classroom, one tutor and a handful of students. In the span of 14 years, we have expanded to over 300 students from Primary 3 to Secondary 4 taking English, Math and Science under the guiding umbrella of over 12 full-time and part-time tutors. The secret to our success? A conducive learning environment, a dedicated administrative team and caring tutors who go above and beyond the call of duty to provide your child with a home away from home where learning is fun. Our approach is to develop and empower your children to succeed in Math and in life. The Holistic Math Master Approach was developed, tested and refined over the last 10 years by our team of teaching & coaching professionals who have worked with over 679 students to produce remarkable results. The Holistic Math Master Approach has been proven to give students the problem-solving skills needed to excel in Math and a little something extra.